Our attorneys are evaluating claims that the Bosch CP4 high-pressure fuel injection pump installed on some American made diesel powered cars, trucks, and SUVs is failing prematurely because of a defect. Consumers shouldn’t have to pay for the repair costs, but some manufacturers aren’t honoring the warranty. Bosch CP4 high-pressure fuel injection pumps are used in newer and more fuel-efficient diesel engines installed on some American-made cars, trucks, and SUVs. The CP4 pump was introduced as a cost-saving measure, but instead of saving consumers money the pump reportedly fails prematurely. This can result in costly repairs. Vehicles made by Ford, General Motors, Chevrolet, and Dodge, as well as diesel versions of the Jeep Grand Cherokee and some General Motors vans, have engines built with CP4 pumps. When a CP4 pump fails, it may not only destroy the injectors, but it can leave metal shavings in your fuel lines — which would require you to replace the entire system — and can even crack the gear and throw it through the engine’s front timing, according to Diesel Tech Magazine. The worst part about this issue is that auto dealerships are generally not covering this expensive defect under warranties. Most warranties exclude fuel contamination, and once a CP4 injector pump fails the metal shrapnel it sends throughout the engine and fuel system is considered contamination. Fixing this can cost consumers between $10,000 to $15,000. If your vehicle is installed with a Bosch CP4 high-pressure fuel injection pump, our breach of warranty attorneys want to hear from you. We may be able to get the manufacturer to cover the costs to repair your vehicle, among other damages. Previously, we helped consumers affected by the Volkswagen emission and Takata airbag scandals. Contact us today to learn more about how we may be able to help you. Fuel injection pumps are used to pump diesel fuel into a diesel engine’s internal combustion chamber. Pressurized fuel is pumped into the fuel injector, and is sent to the combustion chamber as needed by an electronically-controlled valve. Vehicles with older diesel engines were built with the Bosch CP3 pump, which operated smoothly but not efficiently. For greater fuel efficiency, Ford and Bosch developed the CP4 pump for models beginning in 2011. The CP4 pump creates higher pressure with less volume, thereby being a more efficient pump than its predecessor. Despite being more efficient, the CP4 pump allegedly has the capability to destroy the entire fuel system in some vehicles and lead to costly repairs. Why Is the CP4 Pump Allegedly Failing? The primary reason the CP4 pump is said to fail is because the pump was not designed for diesel fuel in the United States. Bosch is a European company, and Europe uses diesel fuel with more sulfur than U.S. diesel fuel. The cleaner, Ultra-Low-Sulfur Diesel used in America does not lubricate the CP4 as well as European diesel, makes it difficult on the CP4’s hydraulic pistons to continue working, according to the experts at Diesel Army. The CP4 also is said to struggle to supply adequate fuel to the engine under the lower pressure of these more efficient engines. The result is the formation of air bubbles inside the CP4. Air in the pump means that metal rubs against metal, causing accelerated wear. This will eventually cause the CP4 to fail, often around 100,000 miles. Before it fails, metal shavings are produced by the CP4, which travel into the fuel injectors and the fuel lines with catastrophic results. Owners of vehicles that include the CP4 pump have turned to costly add-ons to prevent CP4 failure. The problem with the CP4 pump is so well known that several companies sell expensive kits that cost up to $3,600 (before labor costs) to try to prevent the problem. 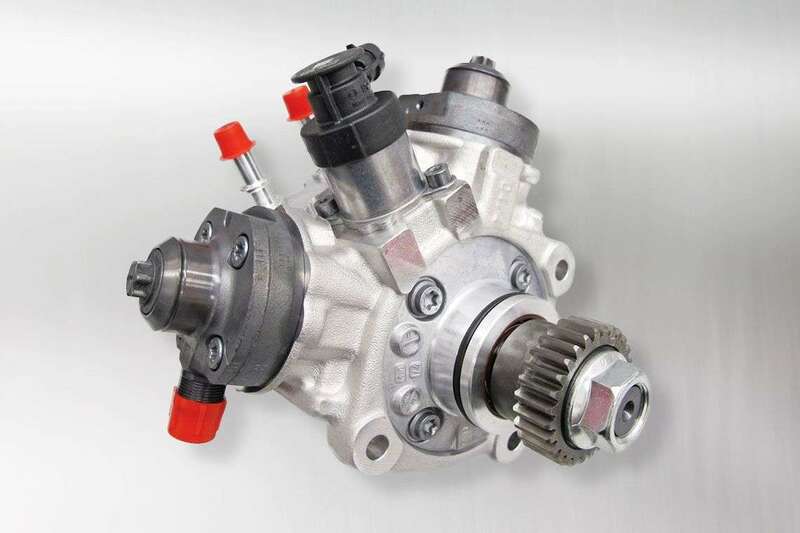 Popular fixes involve boosting the fuel pressure with an additional pump, or replacing the CP4 with the more reliable, but less fuel efficient, CP3 pump. Others have turned to a “cheaper” fix, but it doesn’t necessarily solve the problem. For $400 (before labor costs), car owners can purchase a Disaster Prevention Kit, which will reroute the fuel going from the CP4 to the gas tank, so that the shrapnel will be captured by fuel filters before entering the engine if the CP4 fails. This kit, however, doesn’t fix the CP4, it only means the vehicle owner will have to replace the CP4 when it fails, not the entire fuel system. When you purchase a product — especially something as expensive as a motor vehicle — you expect it to work as advertised. Yet, the fuel systems in some diesel cars, trucks, and SUVs are reportedly at risk of damage because the injection pumps are said to not be compatible with U.S. diesel fuel standards. This is not your fault, and you shouldn’t have to pay the price. The vehicle manufacturers should have known about the incompatibility of U.S. diesel fuel before installing the CP4 fuel injection pump on their engines. Now, consumers are facing several thousand-dollar bills to fix the problem, and it turns out the actual value of their vehicle is less than what was advertised. If you own a vehicle with a CP4 fuel injection pump installed in the engine, contact us today. We may be able to get the manufacturer to cover your vehicle’s diminished value and CP4 pump failure repairs, in addition to other damages. Contact us today for a free, no-obligation case review to learn more.